Social networking has become the “get to know your friends” means of communication for the majority of teen students today. Because of the anonymity of this global resource, areas of concern reach a higher level of danger. As students share their life through this open to the world means of communication the chances of problems escalate. Not only is there a freedom of expression but it seems it is a new avenue to push acceptance or non acceptance to a realm that is really inconceivable with extreme consequences. Below are resources to help educate and prepare students in this ever evolving area of communication. When we talk of social networking Facebook, Instant Messaging, Twitter and YouTube come to mind, but there are numerous other sites that both students and adults use to interact socially on a daily basis. Kids and Socializing Online - Federal Trade Commission - Social networking sites, chat rooms, virtual worlds, and blogs are how teens and tweens socialize online. It is important to learn how to navigate these spaces safely. 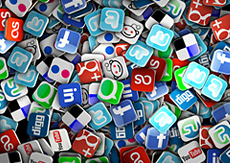 Social Networking Safety - National Crime Prevention Council - Tips for Parents. ... This site includes simple steps to help increase teens social networking safety. Talk to Your Kids – Federal Trade Commission - When your kids begin socializing online, you may want to talk to them about certain risks: Inappropriate conduct: The online world can feel anonymous. Protecting Kids Online – Federal Trade Commission - The opportunities kids have to socialize online come with benefits and risks. Adults can help reduce the risks by talking to kids about making safe and responsible decisions. Facebook, Instagram, and Social - Common Sense Media - Use our social media guide for parents: tips, advice, and the latest research to ... the social media landscape and help keep your kids' online interactions safe. Safer social media use - NetSmartz - Learn which social media sites and apps children are using and how you can protect them. Sexting Handout - (KCSS) What is it… Sexting is the exchange of sexually suggestive messages or images between minors via cell phone. For example, a girl might take an “inappropriate” picture of herself and send it to her boyfriend. Includes five tips to staying safe. Snap Chat - (KCSS) That Little Ghost Can Haunt You! Be careful... It might seem fun. Easy for anyone to save your snaps and forward them on without you knowing. Selfies and Self Esteem - (KCSS) Taking a picture of yourself and posting it has become a virtual phenomena. Celebs are doing it, athletes are doing it and the President is doing it! 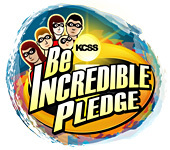 Common Sense K-12 Digital Citizenship Curriculum – Scope & Sequence - Navigating cyberbullying, privacy, safety, and other digital dilemmas are a real challenge for schools. This curriculum is designed to help students to think critically, behave safely, and participate responsibly in our digital world. It includes comprehensive resources for students, like lesson plans, student digital interactives, and assessments, as well as professional development for teachers and materials for family education. Threats at School - This handout addresses online "Threats at School." Many students are not aware of the fact that all social media acquire and log "IP addresses" even Snapchat. Two-paged handout to help you explain how law enforcement can obtain anyone's personal information from any of these apps. Then law enforcement can find the offending student and press charges. The student who creates, reposts or sends the fear-provoking material will suffer the consequences of this felony. Social Networking for Kids - Common Sense Media - Common Sense Media editors help you choose social networking for kids. See what's out there ... Safe social networking for kids under 13. Live Streaming Apps - Common Sense Media – Ratings - Parent help for evaluation of live streaming apps. Smart Social Networking - Cyberbullying Research Center - Fifteen Tips for Teens - Don't let your social media use negatively effect your life, now or in the future. Use these 15 simple steps to safeguard your on line reputation. 5 Social Media Rules for Teens and Tweens Video - Common Sense Media - Social media is a way of life for many teens and even some tweens. 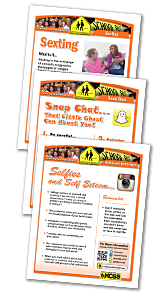 Here are five rules to share with kids before they start posting, uploading, or sharing online.